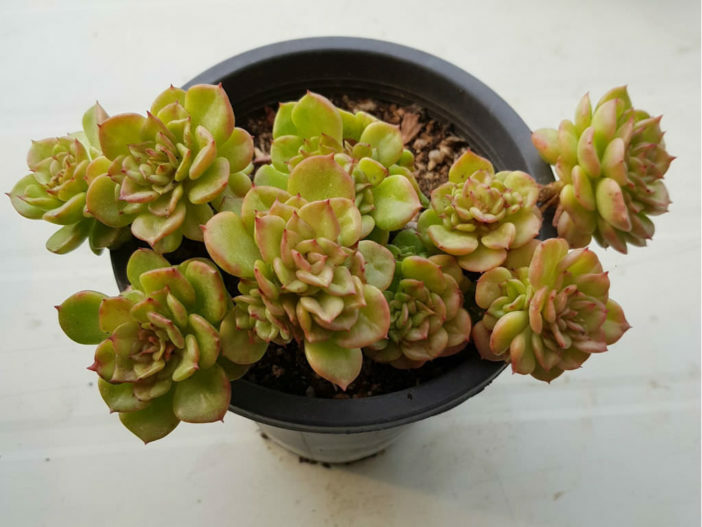 In Europe sometimes is wrongly distributed as Echeveria agavoides x Sedum cuspidatum. 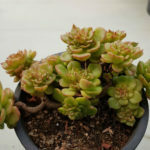 In Korea, also wrongly, is distributed as Echeveria nuda. 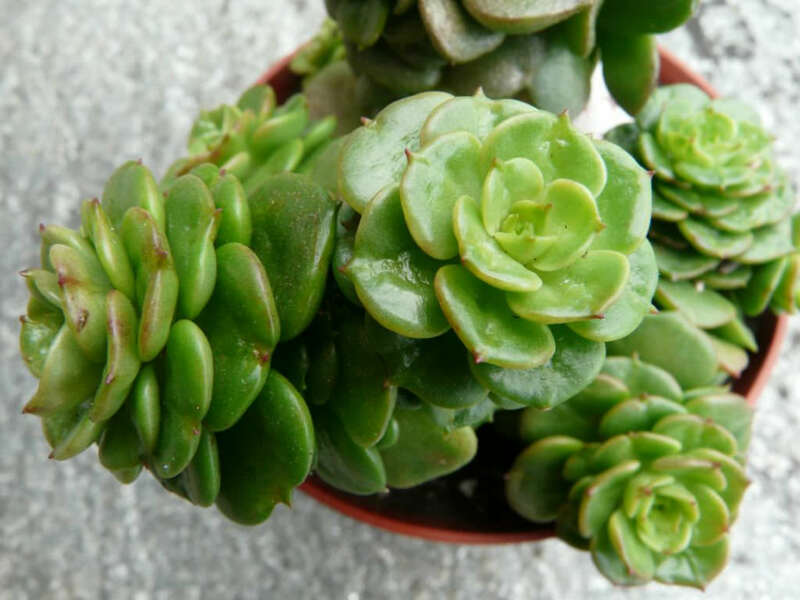 x Sedeveria ‘Rolly’ is an intergeneric hybrid between Sedum and Echeveria. 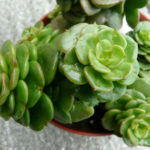 It is a clump-forming succulent with rosettes of waxy, bright green leaves. The leaves turn pinkish-yellow in the sun with colder temperatures in winter, but are green in summer or when grown in shade. 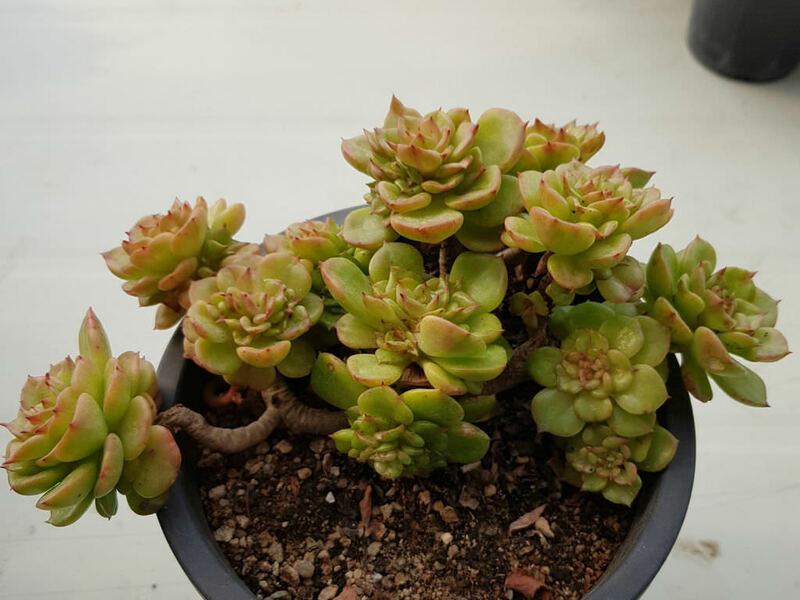 x Sedeveria ‘Rolly’ is an intergeneric hybrid between unknown Sedum and Echeveria.